A 22-year-old man from New Zealand has been arrested in connection with distribution of the video recording of Friday's tragic mosque shootings that killed 50 people. Add New Zealand as an interest to stay up to date on the latest New Zealand news, video, and analysis from ABC News. Brenton Tarrant, 28, who has been charged with murder in the mass shooting, filmed the massacres at Al Noor Mosque and Linwood Masjid in Christchurch on a Facebook livestream. Facebook was notified of the video and immediately took steps to remove the user and the recording, but not before it had been downloaded and reposted across the internet. The 22-year-old, who has not been named by police, will be charged under the Films Videos and Publications Classification Act. He is expected to appear in court Monday. Locals lay flowers in tribute to those killed and injured at Deans Avenue near the Al Noor Mosque, March 16, 2019, in Christchurch, New Zealand. New Zealand Police Commissioner Mike Bush and Prime Minister Jacinda Ardern have repeatedly urged citizens and the media not to share footage of the attack. 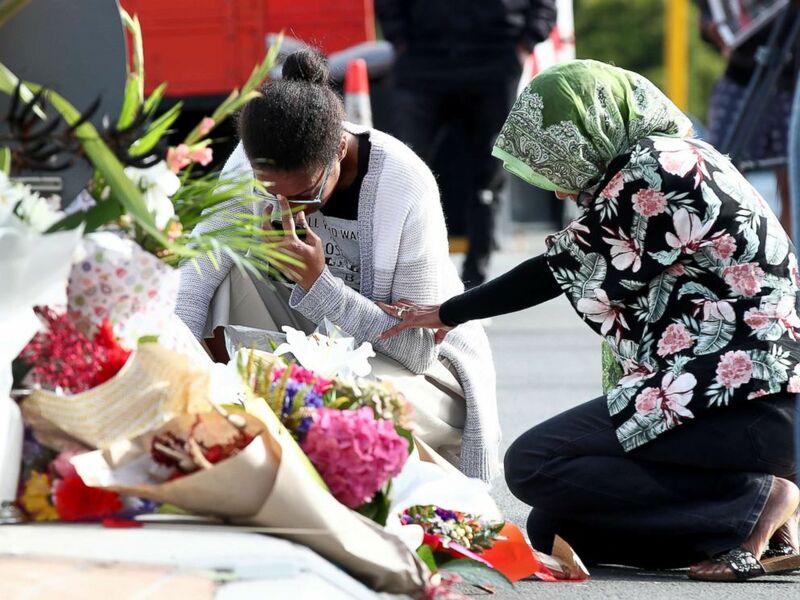 Mia Garlick, a spokesperson for Facebook New Zealand, said 1.5 million videos of the attack had been removed from the platform globally within the first 24 hours of it occurring. That included 1.2 million that were blocked during the upload stage. Police said they do not believe the 22-year-old was directly involved with the attack and is not being charged in relation to it. "We would like to remind people that it is an offence to distribute or possess an objectionable publication (under the Films Videos and Publications Classifications Act 1993), which carries a penalty of imprisonment," New Zealand police said in a statement. 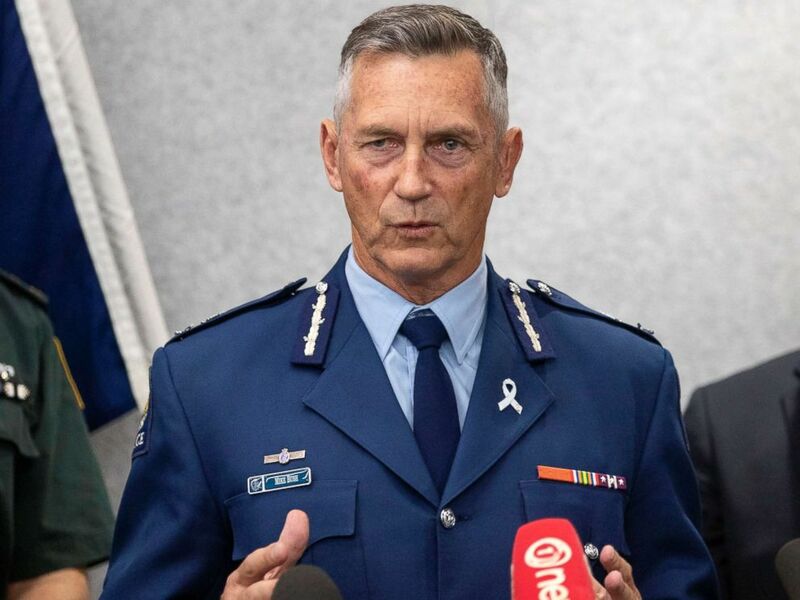 New Zealand Police Commissioner Mike Bush addresses a press conference in Christchurch, New Zealand, March 16, 2019. "The live stream video of the shootings in Christchurch has been classified by the Chief Censor’s Office as objectionable," police added. Sky News Australia was taken off the air by New Zealand's largest satellite provider after the network repeatedly showed clips of the shooting. Tarrant, who made an initial appearance in court Saturday, is expected to face additional charges. A man and woman were also arrested in the hours following the attack, but the woman was released without charges. The man is facing a weapons charge unrelated to the attack itself. In addition to the 50 people killed, 50 others were injured and 12 remain in critical condition, officials said Sunday.